The fake signs also say there is no hunting, no wood cutting or all-terrain vehicle riding. 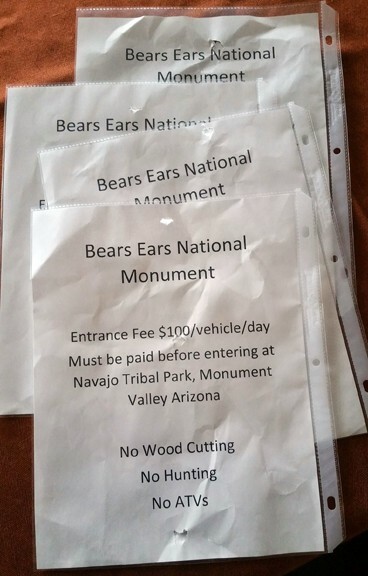 MONTICELLO, San Juan County — Residents are already pretty tense over the Bears Ears National Monument designation made in December, and someone is deliberately inflaming emotion with bogus signs. 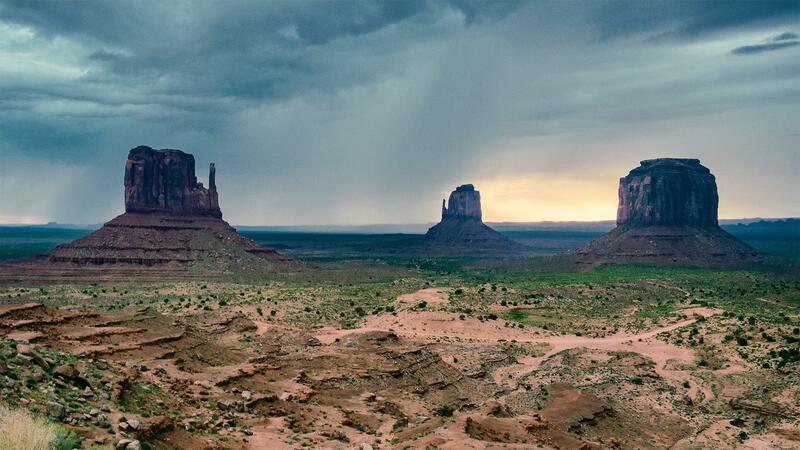 The San Juan County Sheriff’s Office wants to find out who is posting bogus monument signs on Bureau of Land Management and Forest Service lands advising an entrance fee of $100 per car per day that must be paid before entering Navajo Tribal Park or Monument Valley, Arizona. Eldredge said there is a $500 reward to learn the identity of the culprit, even though no crime has been committed. “It’s not against the law, but we want to expose them so people know the truth of where this is coming from,” he said. About 30 of the signs have been posted over the past nine months and discovered by local residents. Many were nailed to trees or found at trailheads, Eldredge said. Local residents know the signs are bogus, he said, and he suspects they are being posted by someone outside the county. “We just want to get to the bottom of this,” Eldredge said. Anyone with information about the signs is asked to call 435-587-2237.